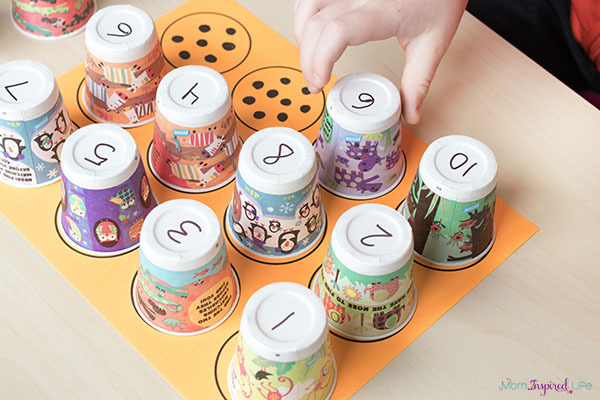 Practice number matching with paper cups! 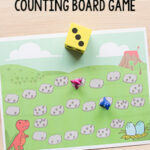 It’s a fun, hands-on way to learn numbers and counting. 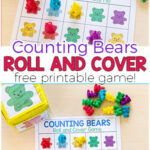 So grab the free printable mats and try this math activity with your kids! 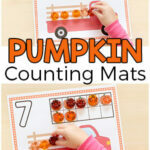 I am always looking for engaging ways to teach my kids math, so we have been doing lots of counting mats. 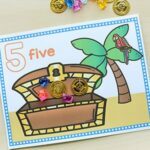 Like this pirate treasure counting mat and this Chicka Chicka Boom Boom counting mat. 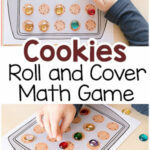 We also love these math activities for preschoolers! 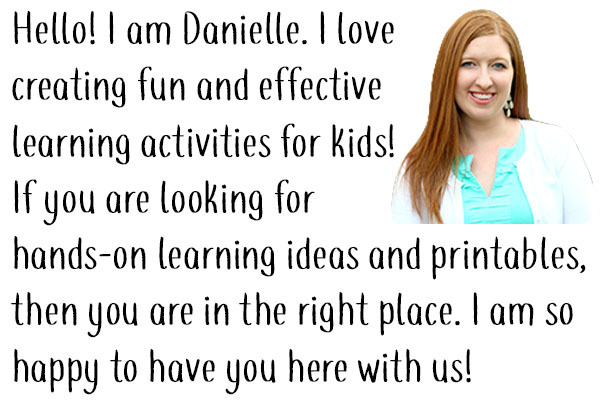 I really love it when an activity is super simple to set up while being engaging and effective for kids. This activity is exactly that. I even made a circle mat that will make it even easier for you! 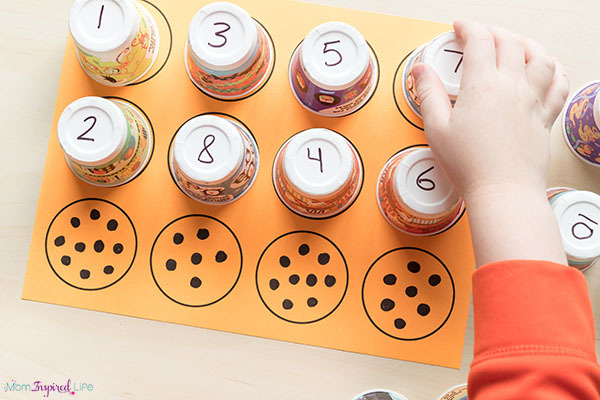 No need to trace around a cup over and over again for your matching mat. 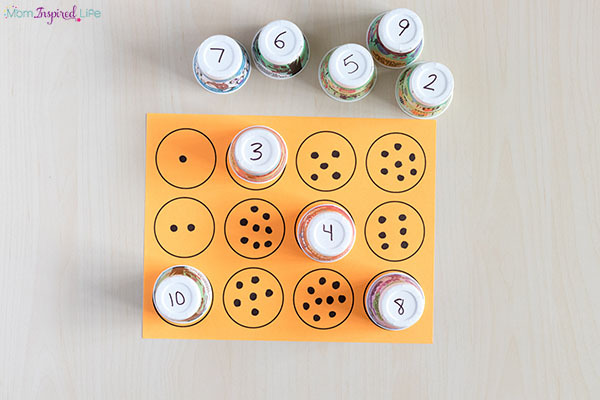 Just print the mats I made and write dots, numbers, shapes or something else in the circles. That’s right. You can use this to work on a variety of concepts! 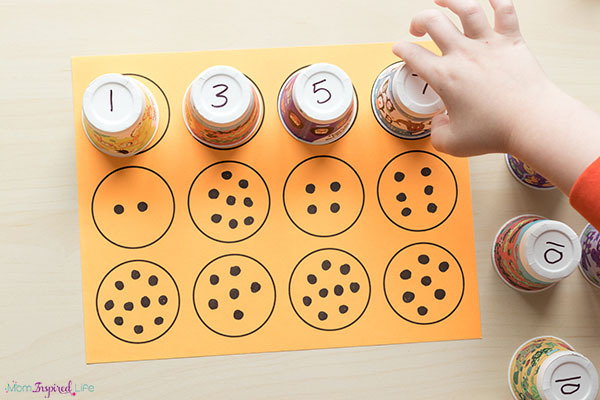 While doing this activity children will practice counting while learning number recognition and one to one correspondence. These skills are important to laying the foundation for higher math concepts. 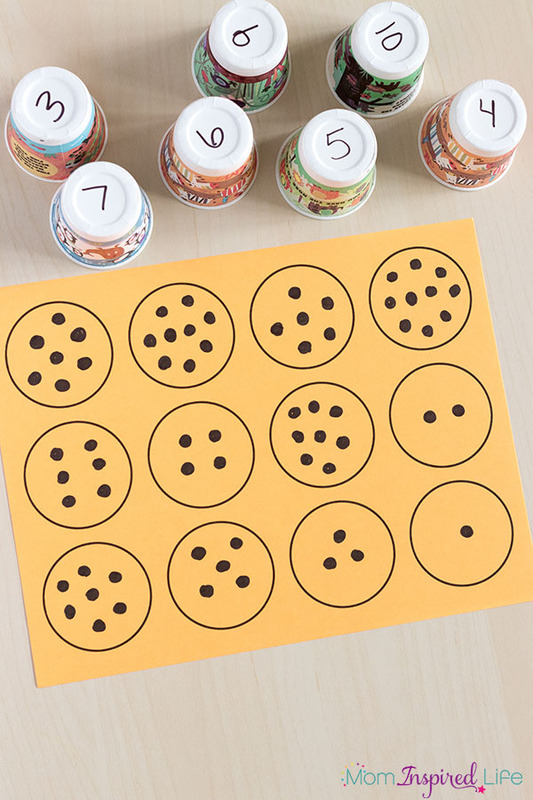 Write dots or some other object in each circle. 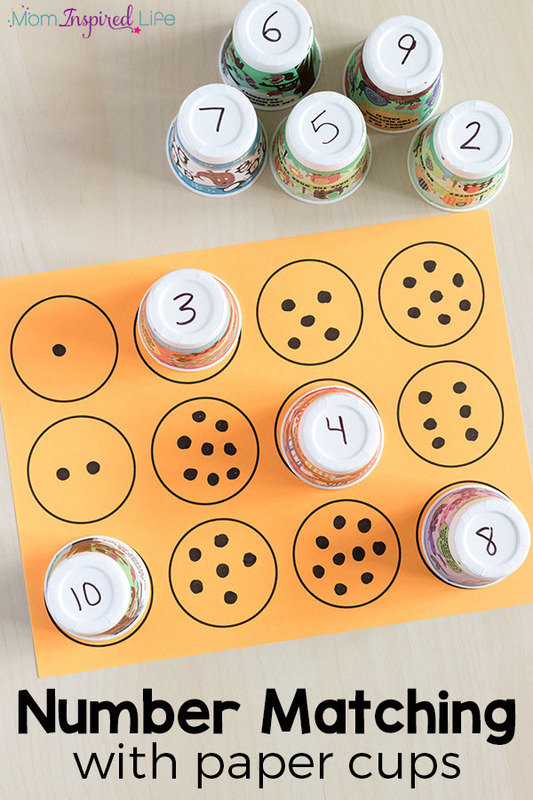 Write numbers on the bottom of the paper cups that will correspond to the numbers represented in each circle. 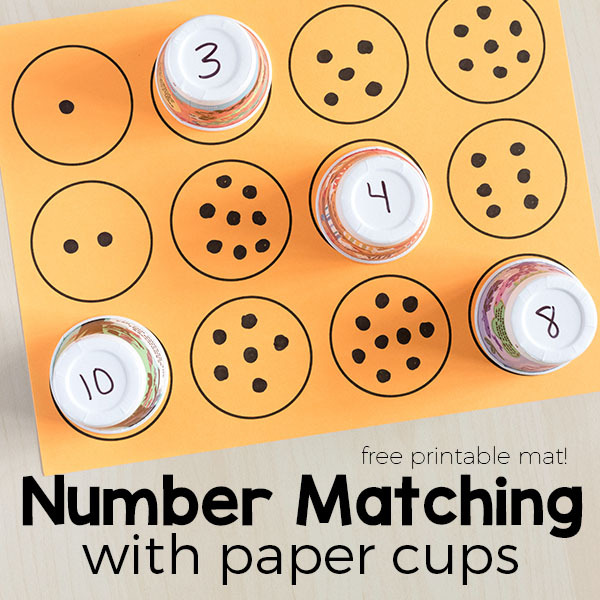 Now your kids can practice number matching with paper cups too! These would be perfect for a math center in the classroom too. Just make a few mats and enough cups to go around and children can work on this independently during centers. 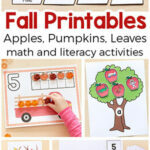 Check out these other math activities for preschoolers!